Berries are one the most antioxidant-rich foods you can eat. If you consume them every day, you may reduce your risk of cancer and other serious diseases. Berries are small, pulpy, and often edible fruits. Typical, berries are juicy, rounded, sweet or sour. They have bright, contrasting colors to attract fruit-eating critters to disperse their seeds. ​Greens and berries are the healthiest vegetables, and fruits. The anti-cancer properties of berries come from their antioxidant abilities. Only herbs and spices have more antioxidants than berries. Antioxidants are substances that are capable of counteracting oxidation in animal tissue. They play a role in preventing cancer, heart disease, Alzheimer's disease, and more. ​Learn what foods you shouldn't eat if you want to avoid cancer. Click here to read more. 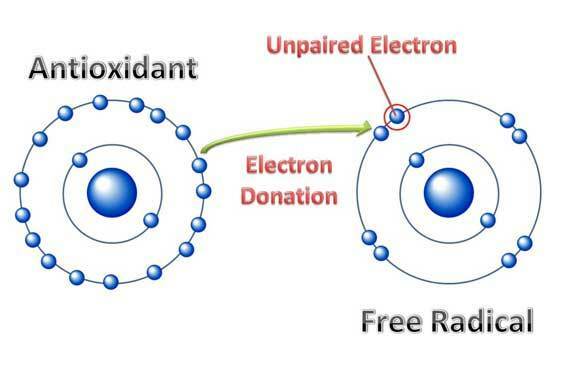 Oxidation is when oxygen molecules go astray and grab electrons and destroy the cells. Oxidative stress occurs when there are too many harmful molecules called free radicals. 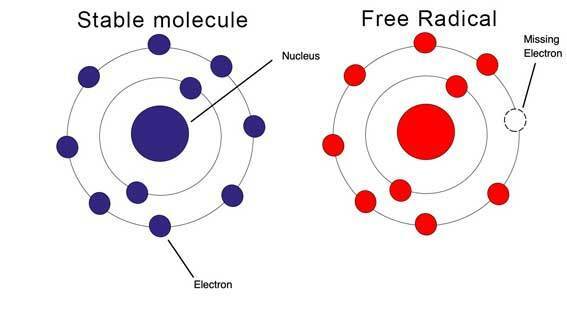 Free radicals are atoms or molecular fragments that have too much or too few electrons.They are waste products from various chemical reactions in the cell. When too much of them build up, they harm the cells of the body. ​Free radicals have one or more unpaired electrons which make them unstable. They then seek out other electrons so they can become a pair. Therefore they scavenge your body to grab or donate electrons. The same oxidative process also causes oils to become rancid, or peeled apples to turn brown. This process causes damage to cells, proteins, and DNA. They may also cause aging of the skin. Once free radicals form, they cause chain reactions. First, they pull an electron from a molecule. This process then destabilizes the molecule and turns it into a free radical. That molecule then takes an electron from another molecule and repeats the process. This domino effect then disrupts and damages the whole cell. 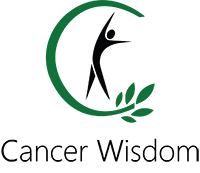 It is impossible for us to avoid damage by free radicals. Free radicals arise from sources both inside and outside our bodies. ​Our antioxidant systems are not perfect. As we age, cell parts damaged by oxidation accumulate. Antioxidants from our diet are vital to controlling the damage by free radicals. They keep free radicals in check and prevent them from stealing electrons. Antioxidants give electrons to free radicals without becoming destabilized themselves. Their main job is to clean up after free radicals. Antioxidants give electrons to free radicals without becoming destabilized themselves, picture by Lobo et al. ​Eating foods containing lots of antioxidants may slow down the oxidation in the body. You can tell whether a food is rich in antioxidants by slicing it open and exposing it to air. If it turns brown, it’s oxidizing.Two of our most popular fruits are apples and bananas. They become brown quickly, which means there aren’t a lot of antioxidants inside them. If you cut open a mango not much happens because it’s rich with antioxidants. A study from 2010 published the total antioxidant content of more than 3000 foods.The products with the highest concentrations in this study were herbs, spices, and dietary supplements. Berries came in second place in all food categories. They have about ten times more antioxidants than other fruits and vegetables. And about fifty times more antioxidants than animal-based foods. ​Among berry products, jams had the lowest antioxidant content. Antioxidant-rich diets appear to protect against stroke and blood clots from forming. They may also lower blood pressure and inflammation. High-antioxidant fruits and vegetables, such as berries and greens, reduce inflammation the most. Berries are one of the best foods to maximize your antioxidant intake. They also have a health-enhancing effect on the lymphatic system. Learn ​how to cleanse your lymphatic system in this blog post. Click ​to read more. If the food stains you, it is probably a lymph-mover. Some people warn against eating fruits because of their natural sugars called fructose. But only fructose from added sugars hurts the body. Fructose in products is terrible and may impair the liver, and lead to high blood pressure. In fruits, fructose comes prepackaged with the fiber, antioxidants, and phytonutrients. These things nullify the adverse effects. Discover 8 herbs and spices you should eat to fight cancer. Click here to read more. ​It is like the difference between a sugar cube and a sugar beet. If you eat white sugar, you’ll have a big spike in your blood sugar levels within the first hour. That causes your body to release lots of insulin to clean up the excess sugar. By the second hour, you become hypoglycemic. Your blood sugar drops even lower than it would if you were fasting. The body detects this and thinks it's starving. It responds by dumping fat into your bloodstream as an energy source to keep you alive. Consuming sugar in fruits, on the other hand, is not only harmless but helpful. Eating berries can blunt the insulin spike from high-glycemic foods. ​The fiber in fruits has a gelling effect in your stomach and small intestine. This may slow down the release of sugars or the phytonutrients in fruits. So eating fructose the way nature intended carries benefits rather than risks. ​Dr. Greger from Nutritionfacts.org recommends that you eat 1/2 cup of fresh or frozen berries per day. Or 1/4 cup dried berries. ​Before you buy food look at their colors. Berries are the healthiest fruits due to their plant pigments. Colorful foods are often healthier because they contain antioxidant pigments. Some examples include beta-carotene that makes carrots and sweet potatoes orange. Lycopene makes tomatoes red, and the anthocyanin pigments turn blueberries blue. The colors are the antioxidants. Red onions have 76% more antioxidants than white onions. 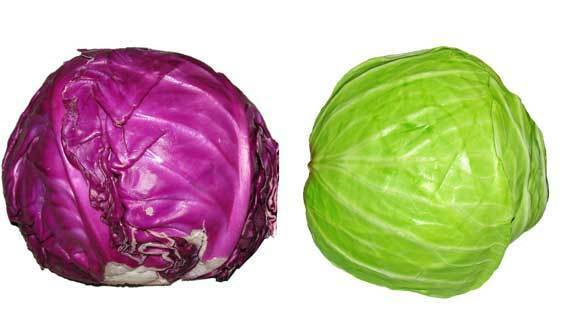 White cabbage has eight times fewer antioxidants than red cabbage and so forth. Shop for the reddest of strawberries, or the blackest of blackberries. ​​​In this blog post, you learned about the health benefits of berries. To reap the benefits of berries make sure to eat ​them every day. Eat 1/2 cup of fresh/frozen berries per day or 1/4 cup dried. Put them in your morning oatmeal or eat them raw. Frozen berries are almost as nutritious as fresh ones. Most of their nutrients are intact after you freeze them. Frozen berries last longer, are available year-round, and tend to be cheaper. So keep a stash inside your freezer and eat it every day. You can also make delicious desserts by mixing frozen berries and fruits and make ice creams. ​Read our cancer diet and nutrition guide to learn how to prevent cancer with diet.